TATA SKY presents Tata Sky World Series, a dedicated service featuring the best shows and series from around the world. We bring to you the critically acclaimed Cuban series 'Four Seasons in Havana' featuring the legendary detective Mario Conde. Adapted from Internationally renowned novelist Leonardo Padura's 'Havana Quartet', the series captures detective Conde's thrilling pursuit of leads towards a seemingly impregnable web of drugs and crime. And while being confronted by politics and corruption in his own Havana Police Department. 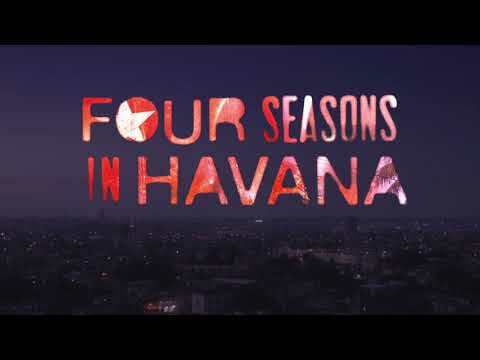 With shocking twists and turns through the series, Four Seasons in Havana is a sophisticated thriller- drama that showcases the mettle legendary detectives are made of. "Four Seasons in Havana pits the color, music, sensuality and rambunctiousness of Cuba against not only crime and corruption in high places but, in Jorge Perugoria's cornerstone performance as Captain Mario Conde, the overwhelming solitude of a romantic condemned to affairs, who dreams of marriage and family, though he knows it will never happen. Few gumshoes, in the final analysis, are so melancholy." "Few series transport viewers to a specific place and time as effectively as this one. For those looking for an easy introduction to Padura's work and his sui generis detective, Four Seasons offers the perfect opportunity." An unorthodox investigator, Conde believes in getting emotionally attached to a case. Turning investigations into personal conflicts, he approaches them the street-smart way. And all along, he also longs for a past that could have been better. Conde's partner in investigations, Palacios is more dramatic while also being pragmatic. Being a 'critical conscience' of his boss, he also has another side - a womanizer. Having led a marginalized life, Candito knows the Cuban underworld like the back of his hand. One of Conde's old friends, he evolves the most in the series, in an intriguing manner. Tata ® Tata Sons Limited. All Sky Trademarks, and any intellectual property they contain, are owned by Sky International AG. Used under License by Tata Sky Limited. Showcase and ® Tata Sky Limited 2005. All IPR in and to the Website vest with Tata Sky Limited from 2006 onwards.